Major UK retailer Morrisons Traditional Beef Scheme will now pay a 30p/kg (38c/kg) premium for its cornerstone breed, the Beef Shorthorn – an increase from 20p/kg (25c/kg). The increased premium, which was announced at the Great Yorkshire Show, will further help to boost numbers of Beef Shorthorn cattle. Latest figures from the British Cattle Movement Service (BCMS) have shown an 18% rise in registrations of Beef Shorthorn calves – growth which Morrisons Agriculture Manager Andrew Loftus says is supported by the scheme. 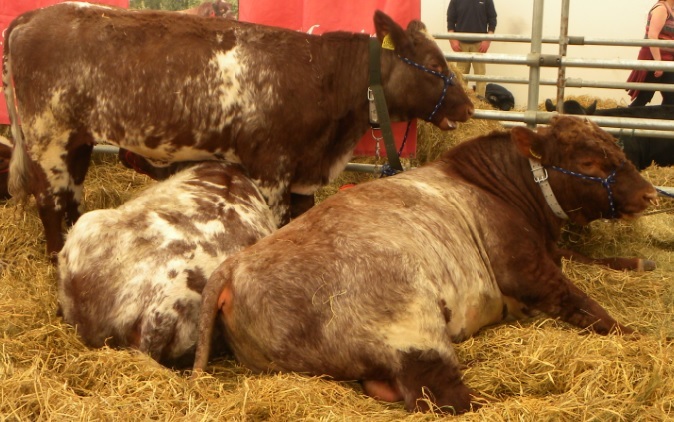 He said: “The Beef Shorthorn is now Britain’s fastest growing native breed and accounts for between 30% and 50% of our traditional breeds range. Morrisons’ Traditional Beef Scheme has grown significantly since it was launched in September 2011. Traditional cattle are killed at all three Woodheads abattoirs and native breeds account for about 10% of the total cattle kill (about 360 cattle each week). The scheme is open to all native bred beef cattle, offering a 10ppkg premium for all native bred cattle and 30ppkg for Beef Shorthorns. Shorthorns currently average a carcass weight of 334kg at 22 months old, with 60% at R grades or better (steer and heifer average). Another success story for the scheme, which has further underlined Morrisons’ support of the breed, is that a Beef Shorthorn bull bred on the Morrisons Farm at Dumfries House has recently entered stud with Cogent. Rothesay Eildon ranks in the top 5% of the breed for both terminal and selfreplacing indexes. Andrew said: “We’re advocating his use to our commercial beef producers to breed replacement females.